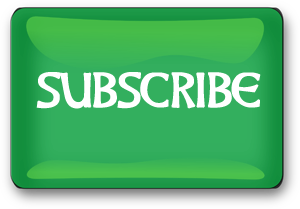 Here you will find photos of recent work and other studio news . . .
Today's client was a complete inspiration. He is an avid bicyclist who was struck by a car and made paraplegic in his teens, spent years in surgeries and rehab, and is now back on the bike. 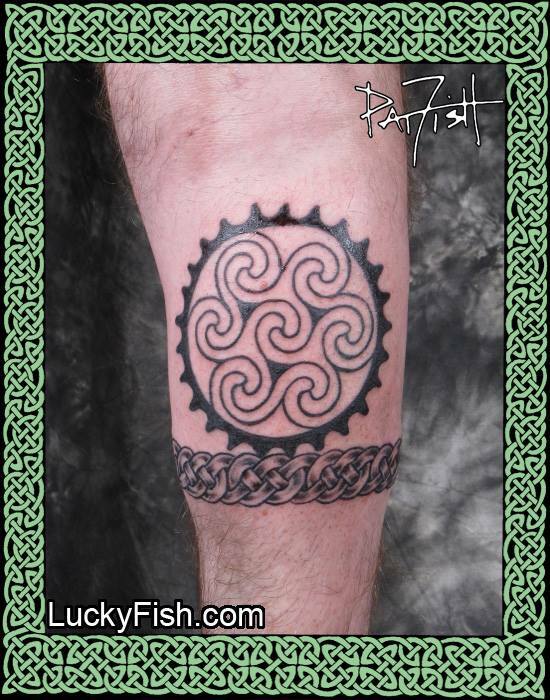 This design represents the sprocket wheel of a bicycle, and the gears are meshing into a Celtic band that encircles his calf with the endless road of life. He wears a brace to be able to ride with this atrophied leg, and with this tattoo he transforms something that is always a source of pain to him into a vehicle for ART. The Aberlemno circle fills the center, symbol of motion and energy and movement, and putting the elements together gives him the precision of blackwork and the dimensionality of shaded knotwork. What a delight to see him after the tattoo and photo get bandaged up and back on his bike, zooming off with a body part he has worked so hard to reclaim, now embellished and a symbol of pride. Be Art - Make an Appointment !